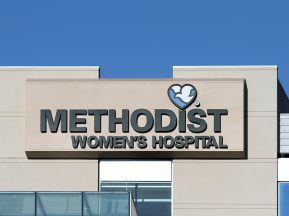 Methodist Health System was created in 1982 by Methodist Hospital leaders who realized the progressive direction in which health care was heading. 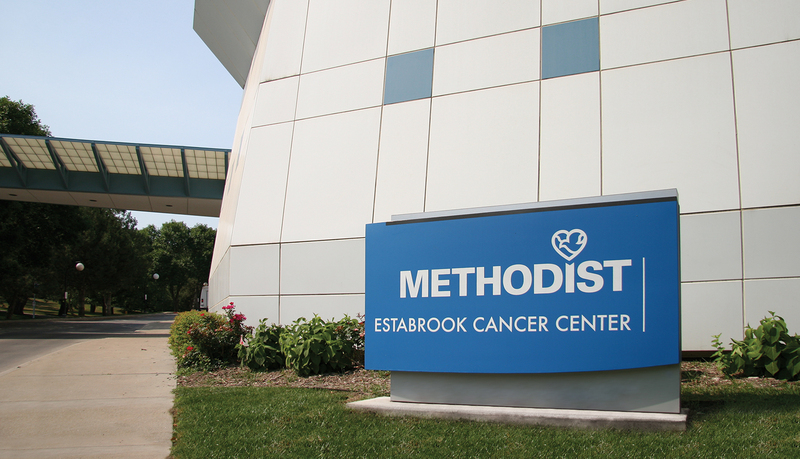 Methodist Estabrook Cancer Center, which is affiliated with the Methodist Health System, is located in Omaha, NE, and is a leader in cancer prevention, research, diagnosis and treatment. 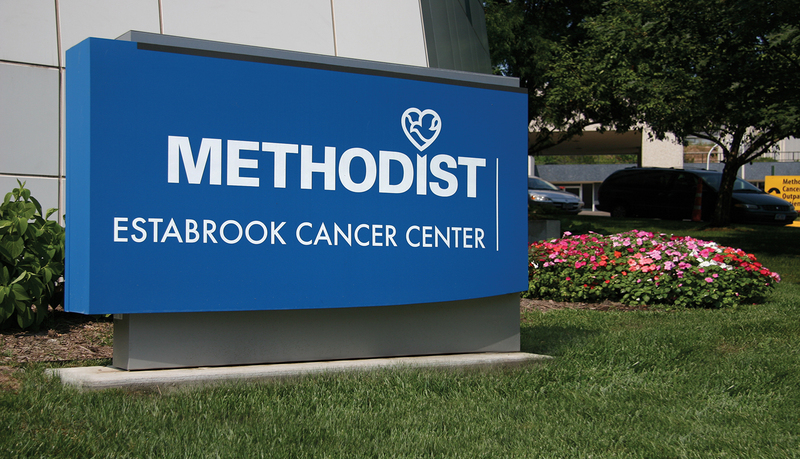 Methodist Estabrook Cancer Center needed a signage solution for the interior of the new 3rd floor expansion to its existing 2-story facility. 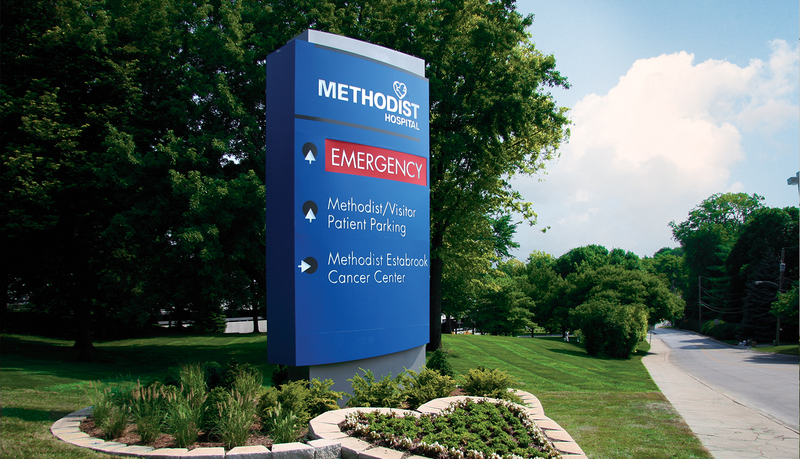 The interior signage needed to be flexible to accommodate future changes and it needed to complement the interior design features of the hospital. 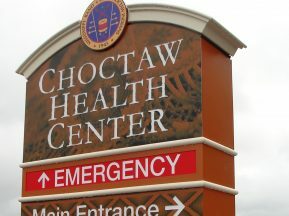 Because the center added a new floor to its existing facility, all exterior signage and the exterior wayfinding system had to be revised to direct patients and staff to the new departments located on the third floor. 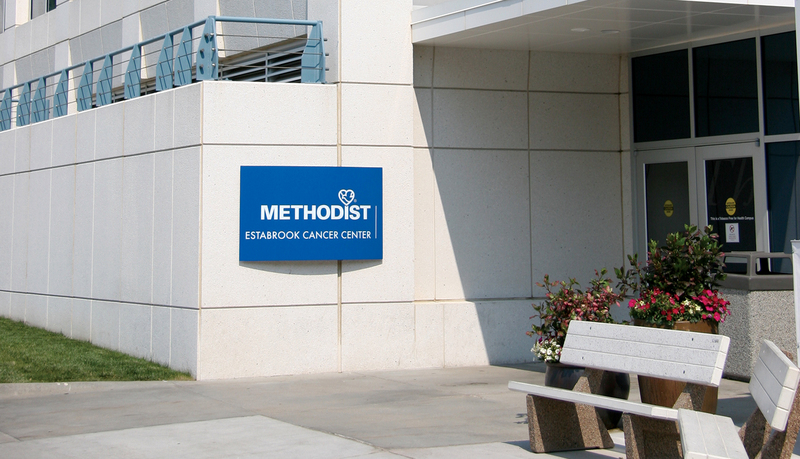 ASI designed, fabricated and installed the interior signage system for the 3rd floor expansion and created a new exterior wayfinding plan and signage for Methodist Estabrook Cancer Center. 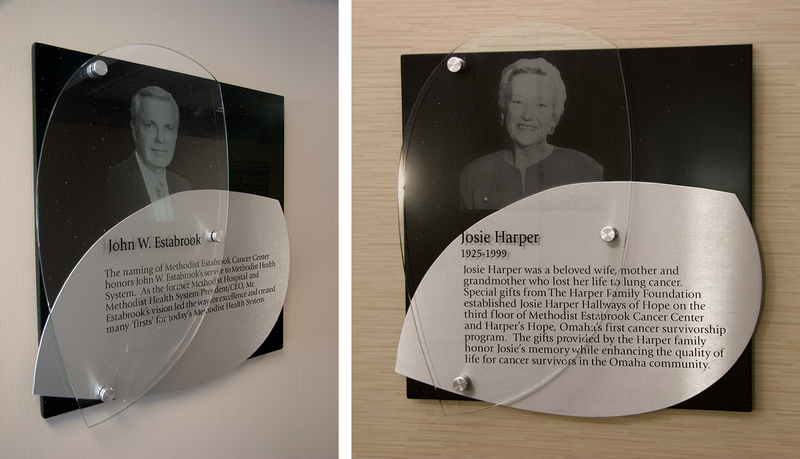 The interior signage consists of custom acrylic room ID window signs with digital print inserts that can be easily changed when needed. 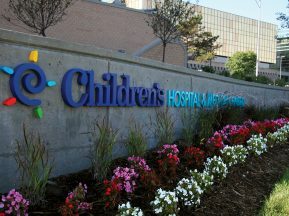 The digital prints have a nature theme that is consistent with the tranquil design of the 3rd floor. 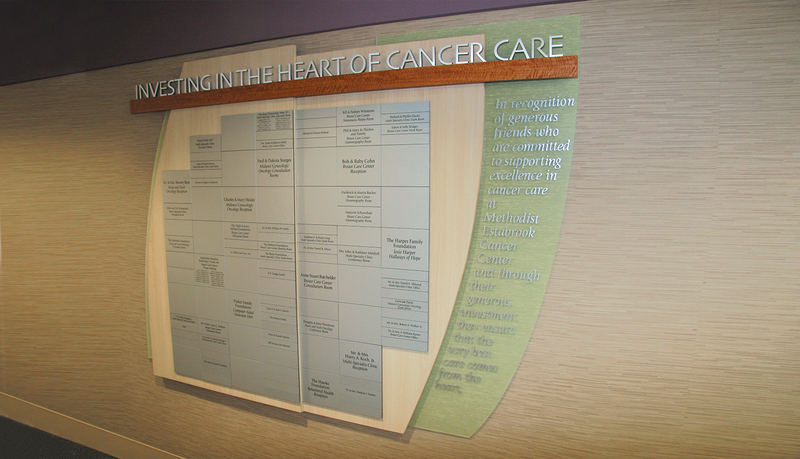 Using the interior signage design theme, ASI created a donor solution to recognize and honor those who have contributed to Methodist Estabrook Cancer Center. 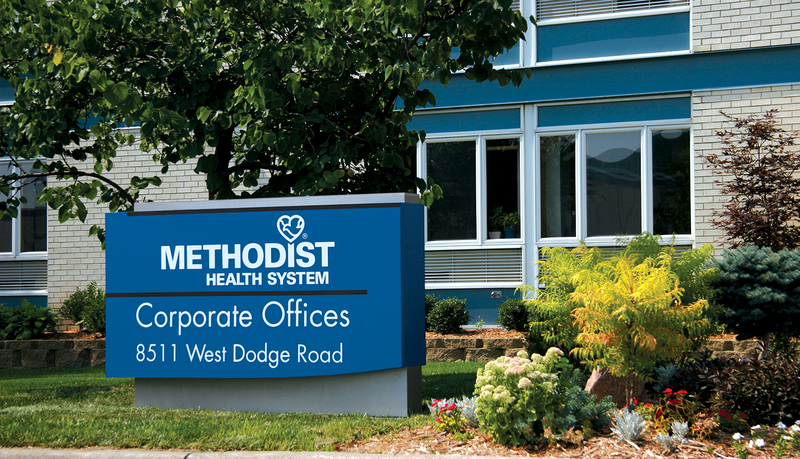 The exterior solution includes fiberglass and aluminum monuments in the very distinct bright blue that is synonymous with Methodist Health System. 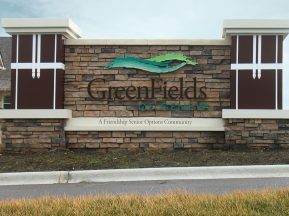 By using the same color, their brand identity is reinforced and the signage stands out distinctly to guide the way.